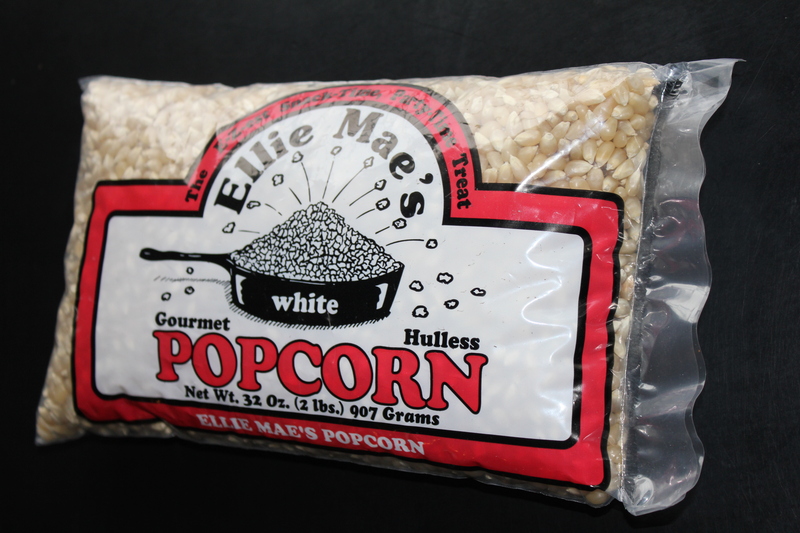 Ellie Mae’s Popcorn. 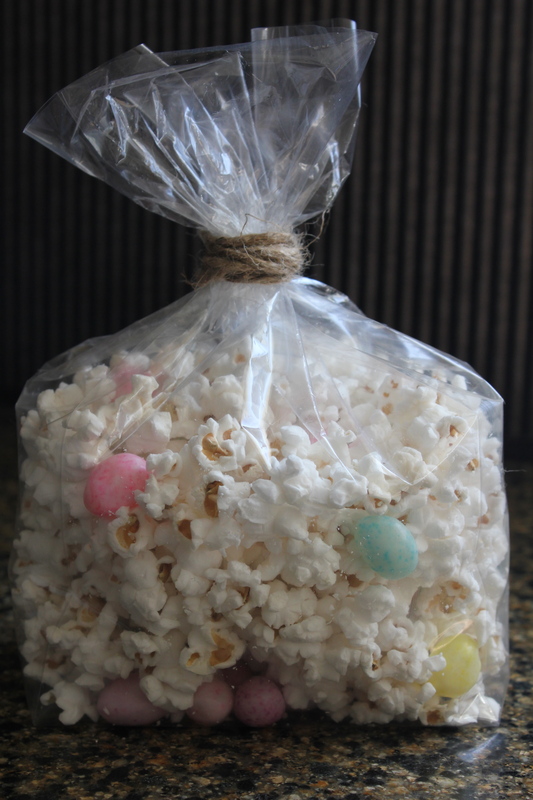 There are many, many different types of popcorn out there but I am a huge fan of white and local so I snagged this bag for a whopping $1.72. Get out! 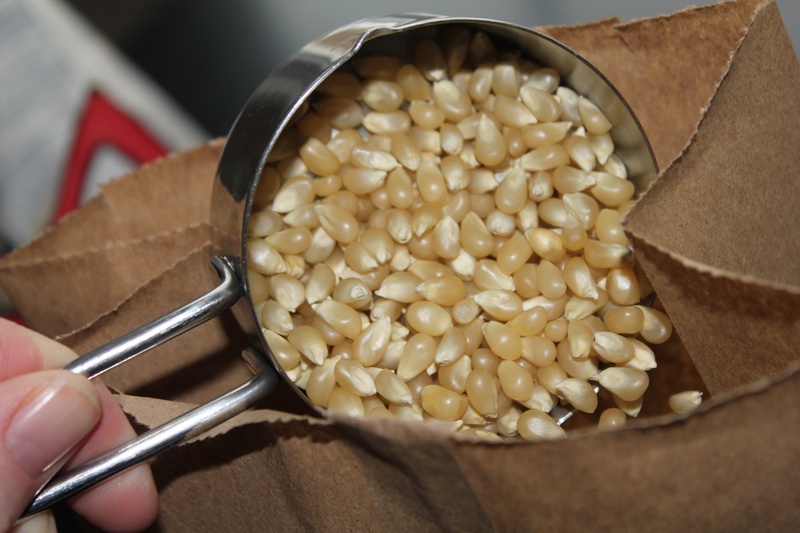 Measure 1/2 cup of that popcorn gold and pour into a paper bag. 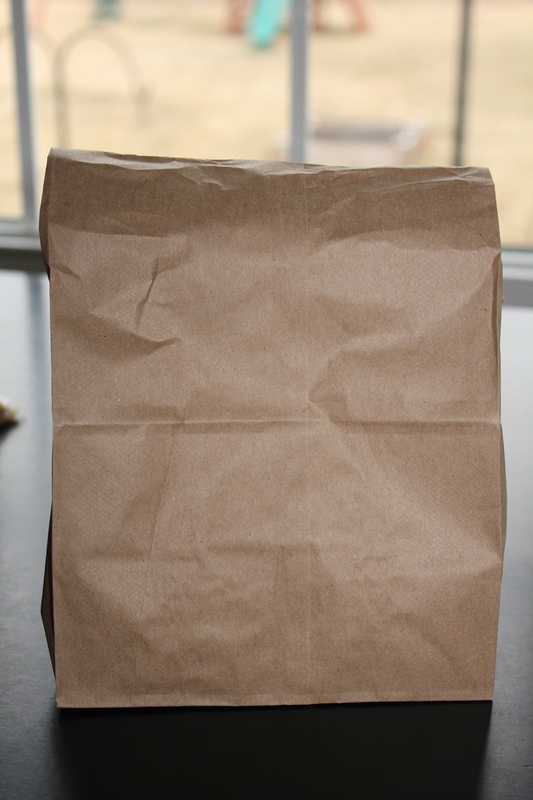 A simple, paper lunch bag will do. 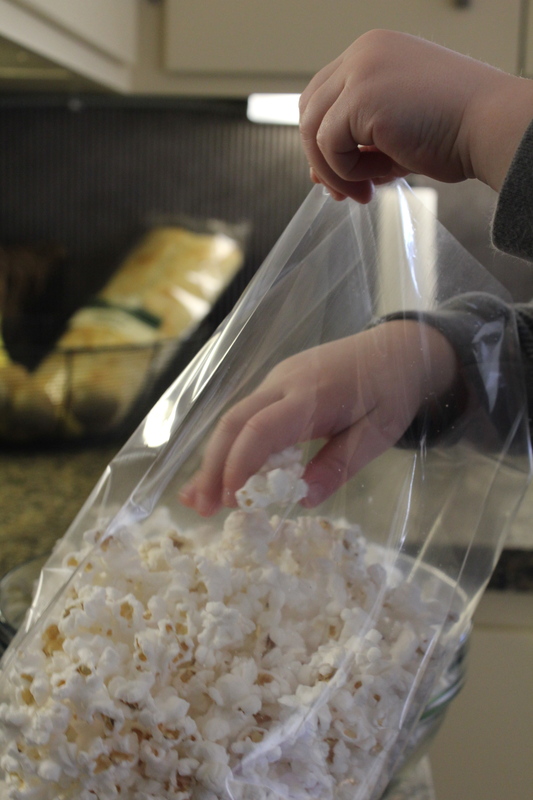 Once you pour the popcorn deliciousness into the brown bag, roll the top down and place in your microwave. I usually cook for 2 minutes and 30 seconds but cooking times in microwaves vary greatly. Just stay close and enjoy the yummy aroma rolling outta your ‘wave. Once the popping stops, pull that baby out! Carefully open the bag. It.will.be.hot. Pour your bounty, season and enjoy! I love that I get to decide how much salt and butter are on my favorite snack. 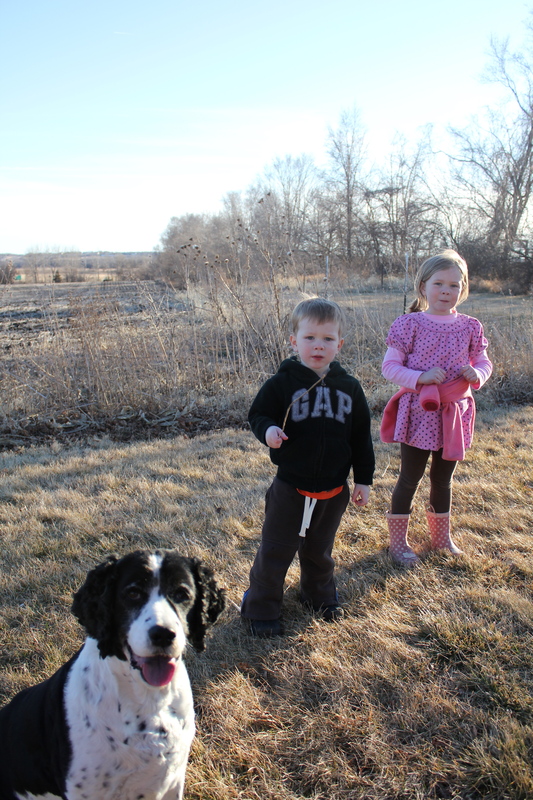 The kids even enjoy it plain. My simple, seasoning strategy? 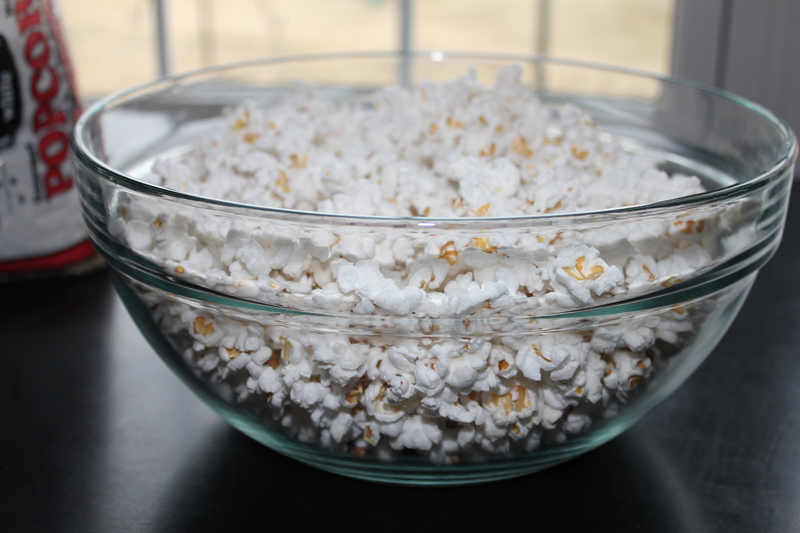 I melt 2 tablespoons butter, pour over the popcorn and season lightly with salt. 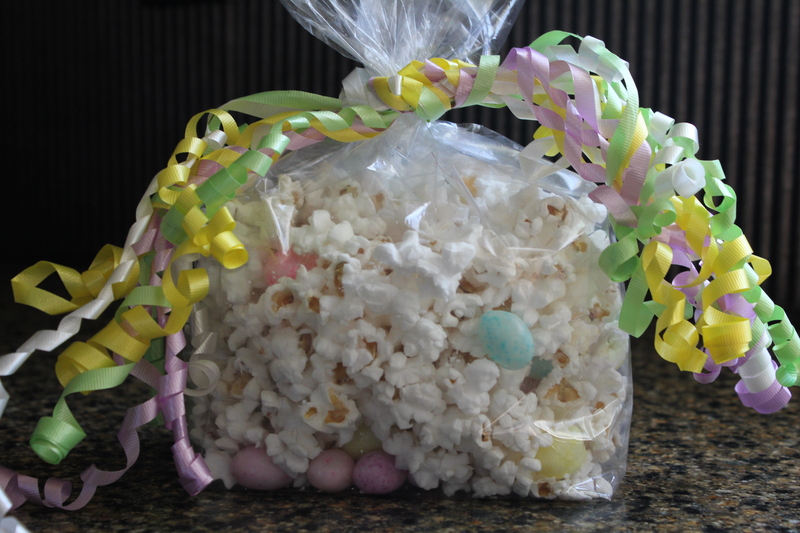 Around here there is something special about popcorn. As soon as that first kernel starts popping, my bevy of beauties come running. 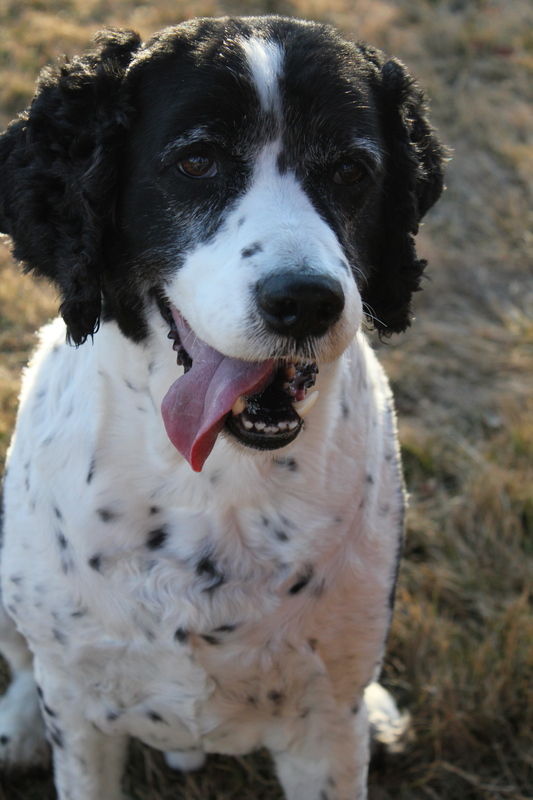 Especially my canine beauty, Tag. We don’t let Tag eat ‘people’ food. Except for all the food the kids drop at breakfast. And at lunch. At supper. And come to think of it, at snack time too. Oh, and popcorn. I can’t even remember how it started but started it did. And now he lies in wait as soon as that first kernel pops, preparing to do this to score him one. 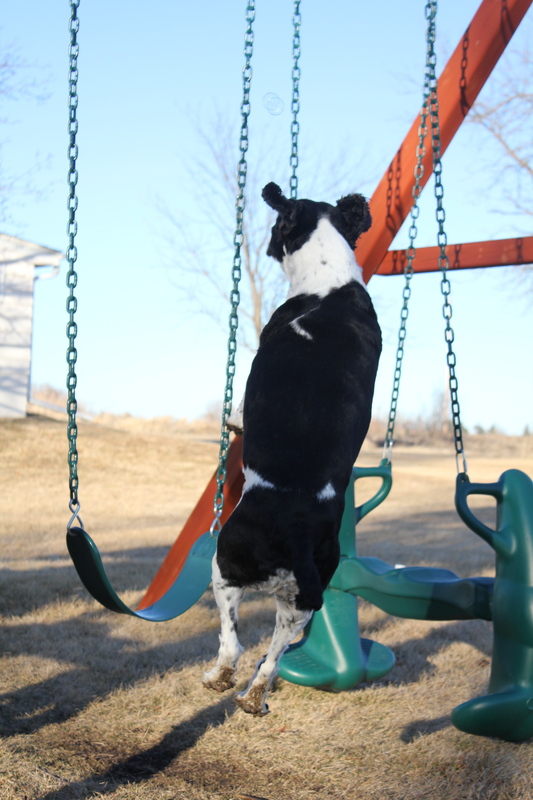 My boy has got serious hops for the pops. Tag jumps for two things and two things only: popcorn and bubbles. Back to the poppy corn. 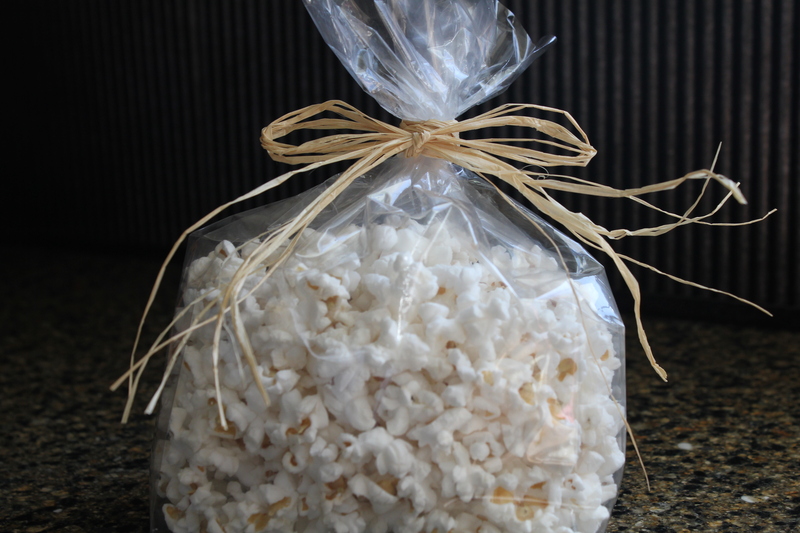 Your homemade popcorn is not only for ingesting, it is also a great food for packaging and gifting. Here Beaut.two fills a clear cellophane bag of the corny stuff. If I’m going to package it, I usually keep the popcorn naked. No salt. No butter. Just the corn. Then you don’t have any grease or sogginess issues. And your lucky recipient can season it themselves. 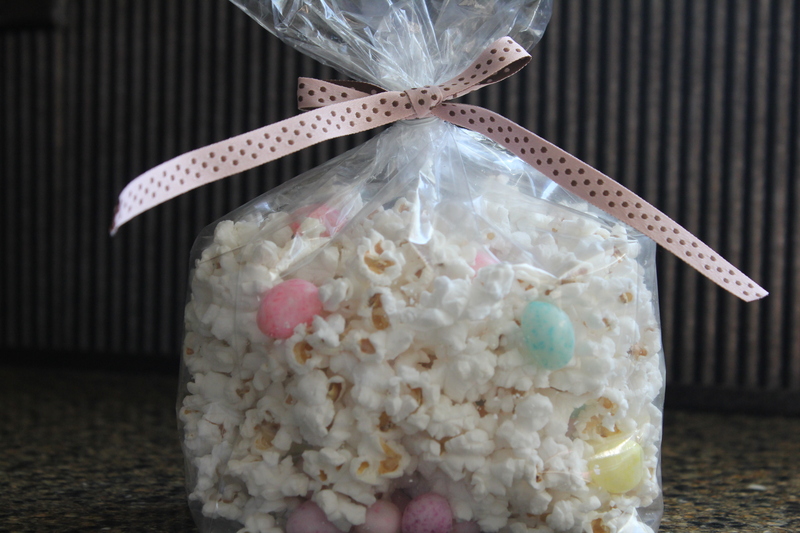 A pretty bow and jelly beans scream Easter. On this bag ‘o goodness, I wrapped and wrapped and wrapped some twine from my local hardware store. Rustic yum! On this bag I added a ribbon I had in storage, pulled from one of Beaut.one’s birthday gifts. May Day anyone? How do you like your popcorn? Do you make it yourself? Do you own a popper? I don’t. But since I bought Mr. Cuisinart my budget won’t allow for any more small appliance purchases in the near future. Bummer. ← Let The Light Shine…Just Not In Here! So sorry. I figured you, my popcorn loving friend, would have already known. Let me know how it goes!